Hi! My name is Benita. I’m glad you’re here. I am a Relational Psychotherapist with 10 years of clinical experience working with clients from diverse backgrounds and life experiences. I love working with courageous people like you, who bravely engage the deep work of healing in order to move towards wholeheartedness and thriving. Toronto Relationship Clinic is my private practice where I provide psychotherapy services for individuals, couples, families, and groups. This means that I can work with you individually or with you and your partner, family, roommate, sibling, or anyone else you might want to invite on this journey with you. I work with clients from a culturally sensitive, emotionally attuned, trauma-informed, collaborative systems framework. If you would like to learn more about how I can help you, I’m happy to speak with you about it. I'm really glad you found me here and I'd love to connect with you. Would you be open to a brief meeting or a phone conversation? That way, we can get to know each other better and talk about any questions or concerns you might have. We can make sure that this is a good fit because it's important to me that you feel accepted, supported, and safe. Heal from the past. Manage stress. Design a thriving life. Therapy can help you connect with your authentic self, heal from trauma, and work through limiting mindsets. Find alignment with your dreams and values. From time to time, Toronto Relationship Clinic offers group therapy programs targeted to specific issues. Click here learn about the group programs we have offered in the past and to explore what we might have lined up for the future. Connect at a deeper level. Improve communication. Rebuild trust. Relational psychotherapy supports couples and families when it matters most—as you navigate life's challenges and complicated issues. If you require a mental health assessment and report for immigration purposes or a social work assessment for medical-legal purposes, please contact us directly or have your lawyer contact us at 416 894 1502. Are you in trouble with the law? Toronto Relationship Clinic is a community-based, evidence-informed, integrative treatment program that bridges the often-neglected gap between mental health and the law. I am a Certified Coach Practitioner and offer life coaching services via telephone and online video conferencing platforms. Coaching as a practice is different from psychotherapy in many ways. Contact us to learn more. If you feel like you might want to connect with me and talk about the possibility of working together, I would love to hear from you. You are invited to email or call me to make an appointment or even just schedule a consultation by telephone. If you feel more comfortable, you are welcome to use the form below to connect with me as well. Please note that this online form is not PHIPA compliant. Please do NOT include private or confidential or sensitive medical, legal, or personal information here. The Toronto Relationship Clinic is a Toronto-based individual, couple and family therapy service founded by Benita Joy. Dedicated to helping individuals, couples and families move towards wholeness and flourishing, we will work with you to achieve your goals. 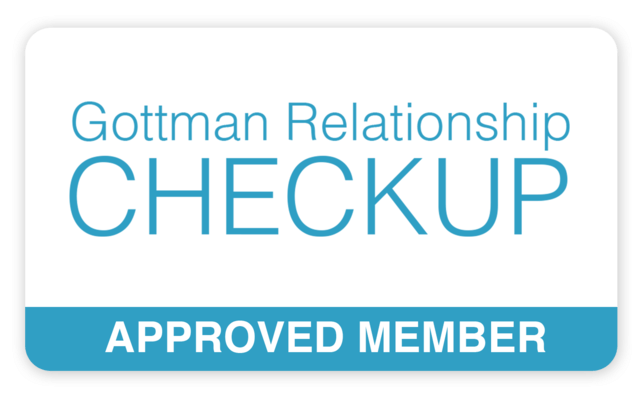 Disclaimer: Please note that the material presented on the website of Toronto Relationship Clinic, including the blog, cannot be considered professional advice, doctor's recommendations, or therapeutic prescriptions. Use what helps. Leave what doesn't. If you need a professional, we encourage you to find one. If you live in the Toronto area, we would love to hear from you. Please note that we are not an emergency care facility. If you are in need of urgent care, please call 911 or visit your local emergency. Unauthorized use and/or duplication of this material without express and written permission from this site’s author and/or owner is strictly prohibited. Excerpts and links may be used, provided that full and clear credit is given to Benita Joy and Toronto Relationship Clinic with appropriate and specific direction to the original content. © Benita Joy and Toronto Relationship Clinic, 2017 - 2019. All rights reserved.